Dr. Lisa Chatman attended the University of Alabama at Tuscaloosa for her undergraduate studies. Following graduation, she attended Meharry Medical College School of Dentistry. 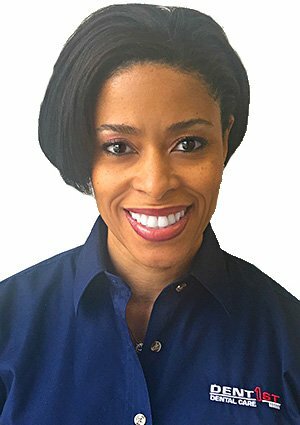 With her dental degree in hand, Dr. Chatman then attended the University of Mississippi School of Dentistry residency program where she received additional and specialized training; treating sedated children as well as hospitalized and other medically compromised patients. She first joined DentFirst in 2000. Dr. Chatman was born and raised in Birmingham, Alabama. She has been married to her husband, Keifer Rackley, since October 2008. Keifer has worked for the Southern Company since 1998. Their son Keifer Langston was born in May 2010. She also has a beautiful step-daughter who currently attends Georgia State University. She and her family recently moved to Kennesaw. Dr. Chatman loves traveling and a few of her favorite destinations are Turks and Caicos, Antigua, St. Lucia, Jamaica, Spain and various parts of Mexico. She enjoys preventative and cosmetic dentistry, but, most of all, she enjoys seeing her patients smile! Patients can visit Dr. Chatman at our DentFirst Kennesaw and Smyrna locations.